States, they have direct and immediate access to it, as well. 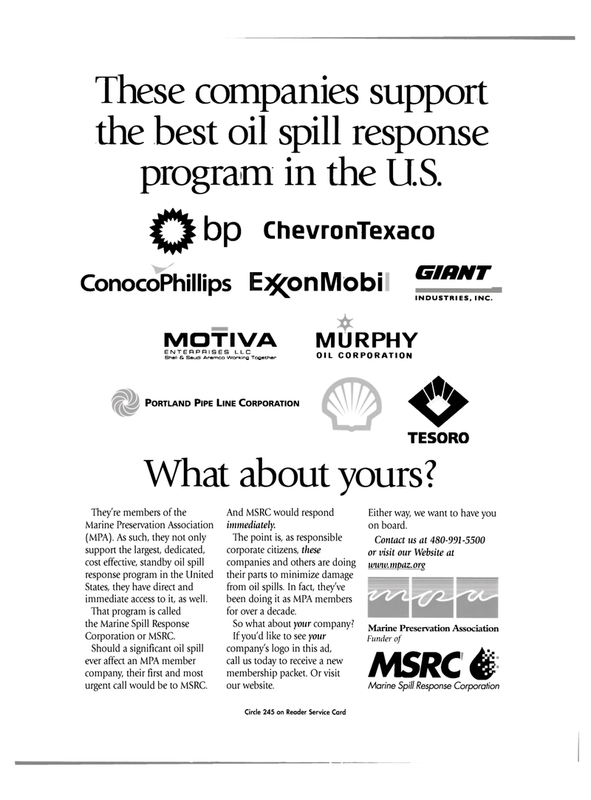 Should a significant oil spill ever affect an MPA member company, their first and most urgent call would be to MSRC. And MSRC would respond immediately. The point is, as responsible corporate citizens, these companies and others are doing their parts to minimize damage from oil spills. In fact, they've been doing it as MPA members for over a decade. So what about your company? If you'd like to see your company's logo in this ad, call us today to receive a new membership packet. Or visit our website. Either way, we want to have you on board.